3 step of treating the disease in Natural way. Nutrition – Nourishing the body. In India, Ayurvedic physicians prescribe apple cider vinegar in combination with the herb Gotu Kola to help in the revitalizing of the skin & treating rheumatism. Scientists have measured ninety different substances in apple cider vinegar, such as thirteen types of carbolic acids, four aldehydes, twenty ketones, eighteen types of alcohols, eight ethyl acetates etc. It also contains important minerals, trace elements and vitamins (as listed underneath) as well acetic acid, propionic acid, lactic acid, enzymes, amino acids as well as roughage in the form of potash and apple pectin. allergic to) Copper, Iron Silicon, Fluorine. If we had to highlight one of the above ingredients I would really like to draw attention to potassium. Potassium is as important to tissue as what calcium is too bones. With potassium lacking many health problems can arise, whereas sufficient potassium can help for problems such as aching legs and keeping arteries working properly. Potassium is to soft tissue as what calcium is to bones - essential. "Potassium deficiency is a proven contributing cause of many illnesses, including; Arthritis, kidney stones, atrial fibrillation, adrenal insufficiency, celiac disease, high blood pressure, coronary artery disease, ulcerative colitis, hypothyroidism, irritable bowel syndrome, Alzheimer's disease, multiple sclerosis, myasthenia gravis, Crohn's Disease, lupus, atherosclerosis, diabetes and stroke." - by Linda Page, N.D., Ph.D.
What cider vinegar do ? Amongst other things, cider vinegar is very effective in detoxicating various organs in the body together with the blood stream. Hence it is a purifier, as it has a means of breaking down fatty, mucous and phlegm deposits within the body. It therefore, promotes the health of the vital organs of the body e.g. kidneys, bladder, liver etc., by preventing an excessively alkaline urine. Cider vinegar also helps oxidate the blood which consequently prevents the blood from becorning too thick and gluey, which gives rise to a strained heart and blood vessels resulting in high blood pressure. Apple Cider vinegar also promotes digestion, assimilation and elimination and it neutralizes any toxic substance taken into the body. There have been a number of instances where people who had taken a mixture of cider vinegar and water before meals were unaffected by diarrhoea, or digestive upsets, whilst their companions who ate the same meal were. Hence the cider vinegar seemed to neutralize the harmful substances in the food eaten. Because it can be used as home remedy to get rid of poisons in the body, has disinfecting and cleaning properties and is a natural, nontoxic, biodegradable substance. That is, vinegar is an unadulterated food, a powerful cleansing agent and healing elixir---a naturally occurring antibiotic and antiseptic that fights germs and bacteria. We would be smart to make use of vinegar in our own lives and in our avian nurseries and breeding facilities. 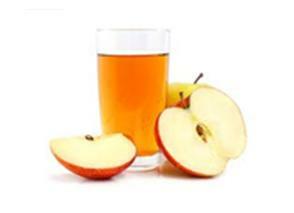 Benefits of Apple Vinegar Therapy in Various Diseases. Re-Mineralises - High In Potassium, Magnesium, Calcium. Tops up important Vitamins and Trace Elements. Increases the Metabolism best for weight loss. Helps increase concentration and memory assists in blood circulation. Helps in sugar metabolism . Best for diabetes to control fasting sugar.